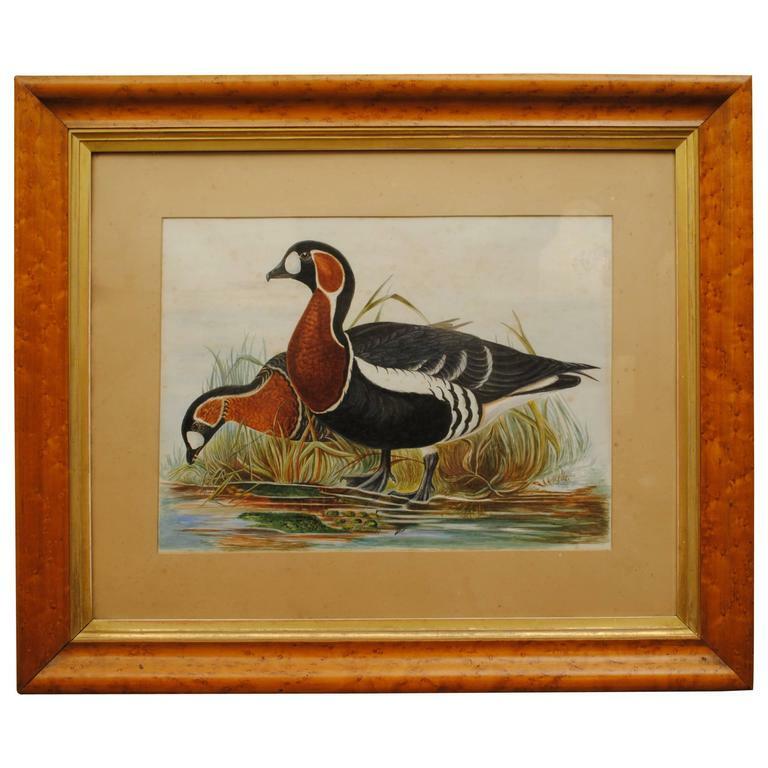 A 19th century watercolor of a pair of red breasted geese at the waterside in original burr maple frame. 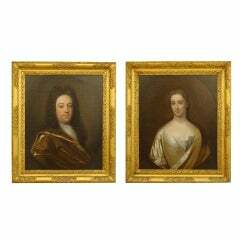 A good pair of 18th century portraits in original gilt wood frames. A signed and dated pair of Marine oil paintings "at anchor off hartlepool" by William Chambers dated '87. A fine pair of family portraits with husband, wife and child all painted in oil on canvas and in original giltwood frames. A good 18th century portrait of William Cunningham the 13th earl of Glencairn shown with a table globe. A late 19th century botanical study depicting a red lily. Watercolor on paper held within a reeded giltwood frame. 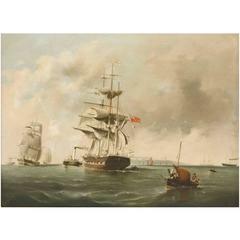 Watercolour of Clipper after Charles Napier Hemy. An oval watercolor of flowers, signed indistinctly. 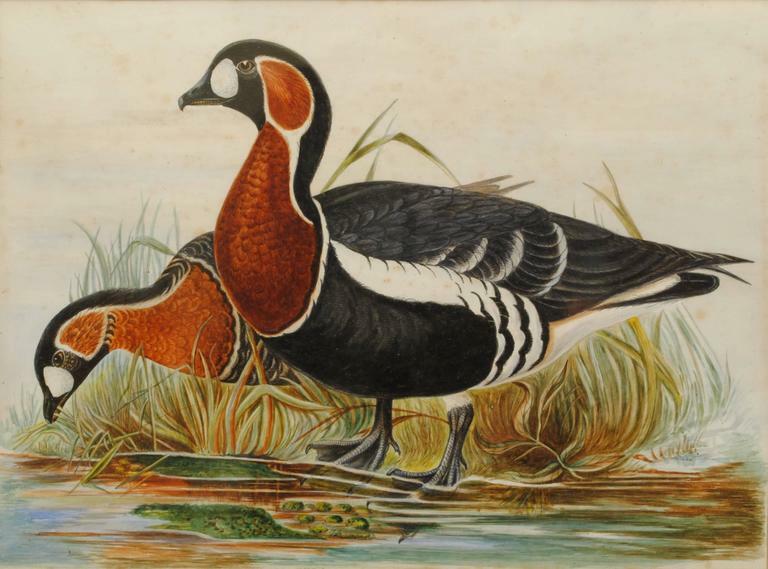 In its original gilt frame, circa 1900 (Please note dimensions stated are from the sight size). A late 19th century botanical watercolor study of red lilies. Watercolor on paper held within a reeded giltwood frame.